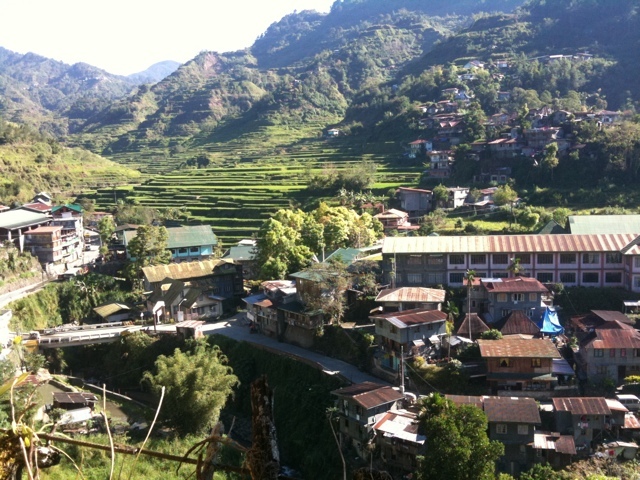 We’re on our way to Batad to see some 2000 year old rice terraces. We stopped in Banaue to grab a bite and defrost after an all night bus that confused air conditioning with our oxygen supply. I just wanted to share a picture. This is the stunning view from our table. We can’t wait to get to our actual destination.